Botox® is a proven safe and effective treatment used to reduce wrinkles around the eyes, forehead region and between the eyes. With Botox® you can smooth and reduce the tell-tale signs of aging including crow’s feet, scowl lines and forehead wrinkles*. Tried everything to get smooth, clear skin? Clear + Brilliant® treatments are your answer. Lotions and creams don’t stack up to Clear + Brilliant®. Clear + Brilliant® takes skincare to a new level. It improves unwanted signs of aging as well as giving you the tools to prevent them*. CoolSculpting® (cryolipolysis) is non-invasive; this means that you don’t have to go through painful plastic surgery and you don’t have to endure the pain of liposuction. CoolSculpting® can give you that finished look for those who have a few pounds to lose*. 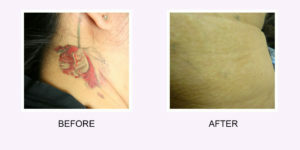 Dysport® is a relatively new procedure that can sometimes compare with Botox® in a lot of ways. 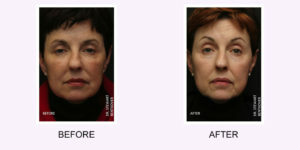 Dysport® is a treatment procedure meant for specifically fighting frown lines, also known as marionette lines. Dysport® is a faster-acting treatment procedure that can begin working as soon as one to two days, which is great if you’re in a time crunch for a wedding, party, or otherwise*. First, there were the skin peels. Then came laser resurfacing. 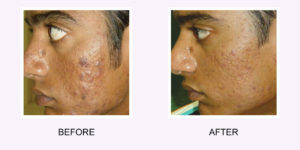 Now, Abington Aesthethic & Laser Medical Center offers a dramatic improvement in skin rejuvenation*. If you’re unhappy with your skin – you have age spots and discoloration, you have sagging, wrinkling, or other undesirable traits that come with aging – we have the perfect solution for you. 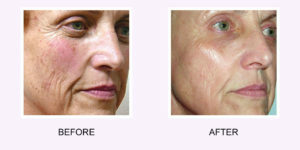 With our Fraxel® treatment, you can enjoy real, long-term results that reduce the look of aging*. Want to reduce the look of dark, unsightly, long hair on your body*? 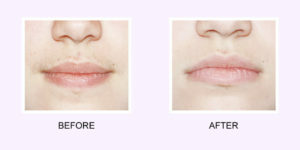 If you want to reduce your body hair, whether it’s hair in the arm pits or hair on your upper lip – your “woman mustache” — we can do it all at Abington Aesthetic*. 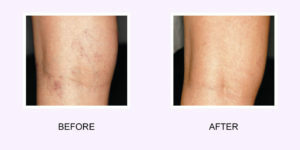 Our laser hair removal treatment is fast with little discomfort. It’s safe for all skin types and is easy as well as non-invasive to undergo. Fillers are a substance that injects into the skin. It plumps and fills the skin, occupying space. It can be used almost anywhere in the face, allowing for treatment of lines around the mouth, fine lines and wrinkles around the whole face, and is typically used in the lower half of the face*. Some of the fillers we offer are Juvederm®, Radiesse®, Bellafill®, Restylane®, Sculptra®, Belotero Balance®, and others. Ready to reduce that dreaded double chin? Kybella® is the first and currently only injectable that is proven to reduce or even sometimes remove a “double chin” or excess under chin fat, drastically improving your appearance*. No matter how healthy we eat and how much we exercise, we still sometimes have noticeable areas of body fat that keep us discontented with our appearance. Non-invasive, fat-reducing procedures like Liposonix® are a good alternative for those who just need a last bit of help to achieve the look they want*. As we grow older, certain aging processes occur — red flushed face, sun damage, and hyperpigmentation are all telltale signs of aging. It just comes with the territory… or does it? If you want to correct the aging process and you want to enhance your appearance, then you might be a candidate for Photo Rejuvenation*. What if you could reduce those fine lines and wrinkles around your forehead, eyes, and mouth*? What would you say to reducing sun damage, persistent acne scars, and bothersome moles*? 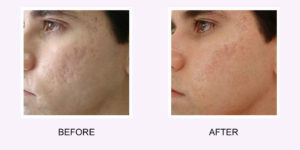 And suppose you could reduce blemished, baggy, or blotchy skin, all without the need for laser resurfacing*? 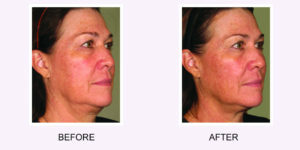 Ultherapy® stimulates collagen through the use of ultrasound technology. 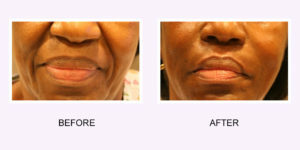 Ultherapy® stimulates the production of new collagen*. This procedure gives you a lift by tightening the skin with little to no down time*. Xeomin (incobotulinumtoxinA) for injection, for intramuscular use, is a prescription medication used to temporarily improve the appearance of moderate to severe frown lines between the eyebrows (glabellar lines) in adults contains botulinum toxin type A, a protein purified from the bacterium Clostridium botulinum*.